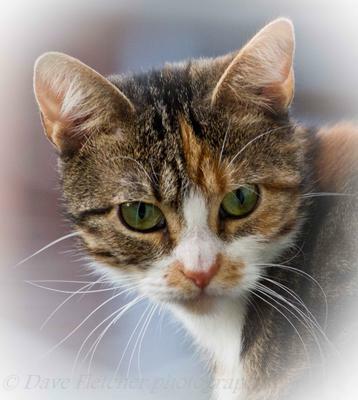 We're a very small cat charity based in Swallownest, Sheffield. We take in those that need that little extra like road traffic accidents, or cats needing specialist treatment. We are also one of the few rescues that take in FIV+ cats as many still put them to sleep and do not give them a chance. All the cats are kept in a home environment and live as our pets until such time as they are ready to go to their new home. Honored to have English blood. Reading about your work makes me feel honored to have English blood along with my Feline blood. GREAT JOB EVERY ONE IS DOING, BEST WISHES, FROM AUSTRALIA. 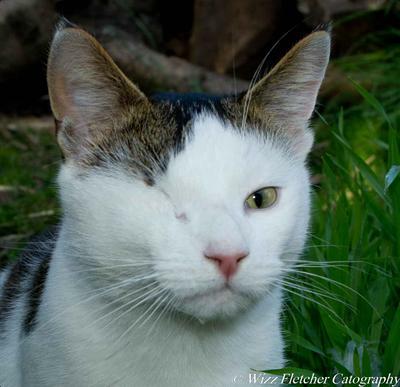 FurKids rescue in Atlanta, GA also houses lots of FIV+ kitties and has been fortunate to find loving homes for many. People can be so silly about not wanting to love on these babies. I get such joy in volunteering for the largest, free-roam, no-kill shelter in Georgia. With 300-off kitties, there's a lotta love in a day's work. Editor's note: They should creating a listing with us to help spread the word. Well sounds like a great organization, so glad to hear of caring people who take the time to help those cats that other people won't, especially the ones that won't stand a chance at life but happy to see that there's a place that will give those cats a chance at life. Thank you for taking the time to do this and to allow those cats give a chance at life. Yes it is very rewarding being able to take these poor little ones off the streets and give them the love and security they deserve. Well done for making a difference! Hi Yvonne, yes many people are like yourself worry about taking in an FIV+ cat however it has been shown that in a domestic situation it is highly unlikely for the virus to pass on to the other cats in the household. It mainly is passed on by a serious bite which happens between un-neutered males. I think it will still be some time before people are accepting of FIV cats. Well done to you for taking your little one on. Things could have been very different had you not. I lost a kitty years ago to FIV. I didn't know she had it until she was 6 months old. She was born in a home, the Mom tested 4 times, all negative, so not sure how all the kittens (6 in all) tested positive for it. If I had known she was positive, I would've never taken her since I had cats, but I wasn't about to give her up. She was the sweetest kitty ever and never hissed or tried to hurt anyone. I felt my other cats were safe with her, and they were. It depends on the cat of course. Some are more aggressive. This was over 7 years ago and I know a lot more is known about FIV. I do bless the time I had with her. I bonded with her more than any cat, and I miss her more everyday. Thank you for taking these sweet creatures in and giving them a chance at life and love. I once took in a stray. I had been feeding him for several months until he got injured. Then a friend with more money than I said she'd pay for his treatment if I'd take him in. 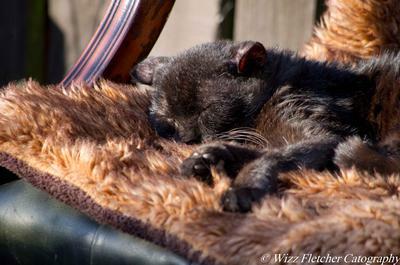 I took him to the vet who said: "He's FIV+ and since he's a stray we'll put him to sleep." I hugged him closer to me and said: "He may be a stray, but he's MY stray and you are NOT going to put him to sleep." He was so thin they couldn't operate on him, but they agreed to fix him. I took him home until he fattened up enough for the other surgery. I had called him Hobo, but he was just the best old fellow you ever met. He finally died of kidney failure because he was an insulin resistant diabetic, but he was sweet right to the end!